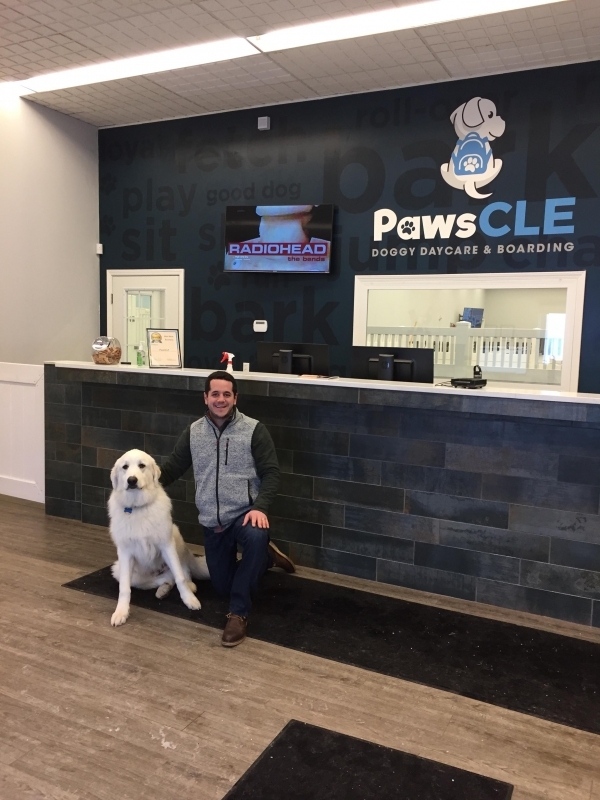 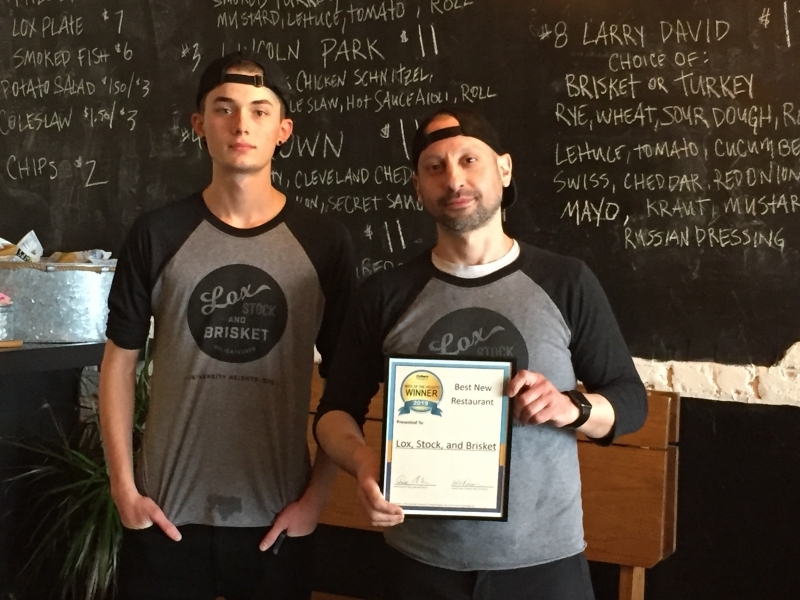 Paws CLE owner Jeff Bradish (left), winner of the 2019 Best New Business, with customer Siggy. 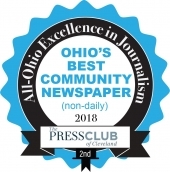 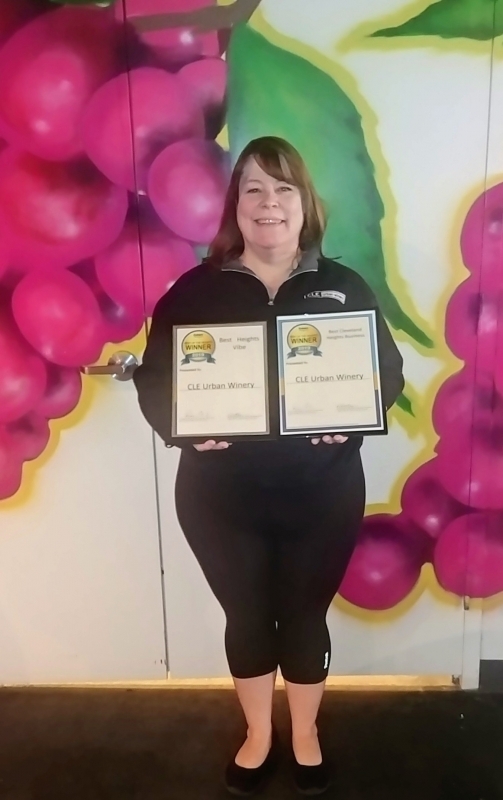 Destiny Burns, owner of CLE Urban Winery, winner of the 2019 Best Cleveland Heights Business and Best Heights Vibe. 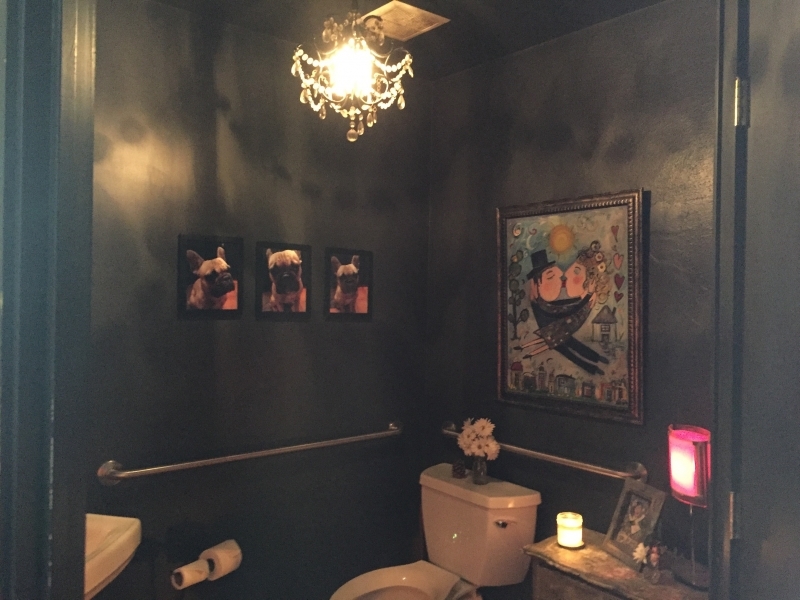 Photo courtesy Destiny Burns. 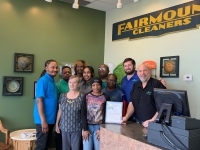 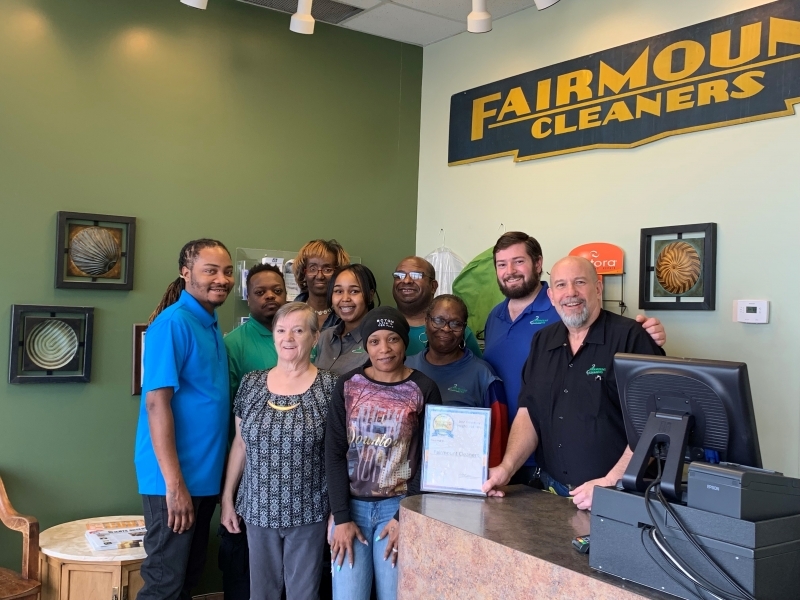 Steve and Adam Grace and the crew at Fairmount Cleaners, 2019 Best University Heights Business winner. The bathroom at Gigi's on Fairmount. 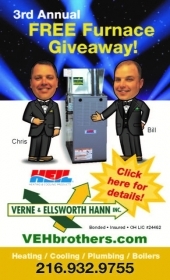 Gigi's was a 2019 winner in the categories of Best Customer Bathroom and Best Interior Style, and was a finalist for Best Exterior Style. 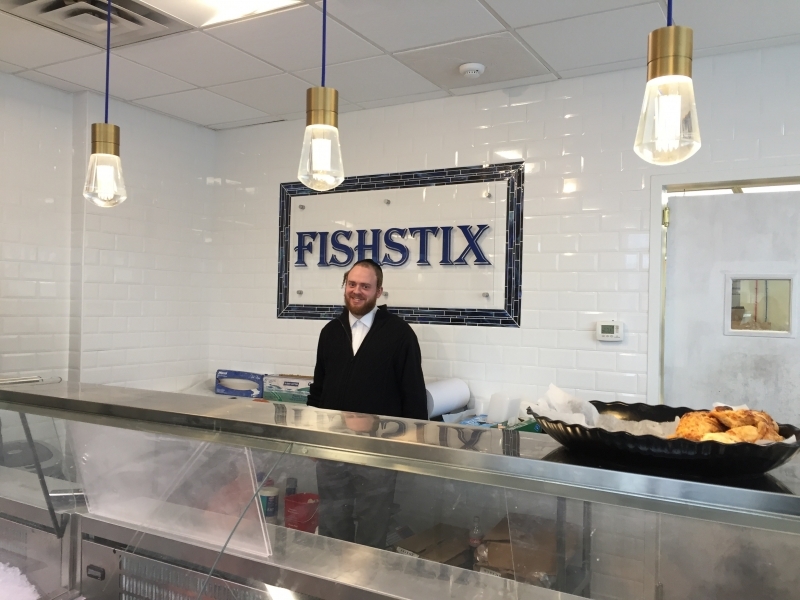 Leo Gluck, owner of Fishstix, 2019 Best New Restaurant of Bar finalist. 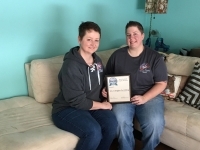 Valerie Ross and Hannah Smith, owners of Sits 'n Wiggles, 2019 Best Cleveland Heights Business finalist. 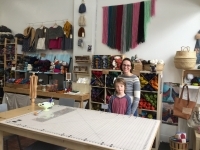 Sarah Nemecek, owner of Studio How-To, 2019 Best New Business finalist, with her son, Jack. 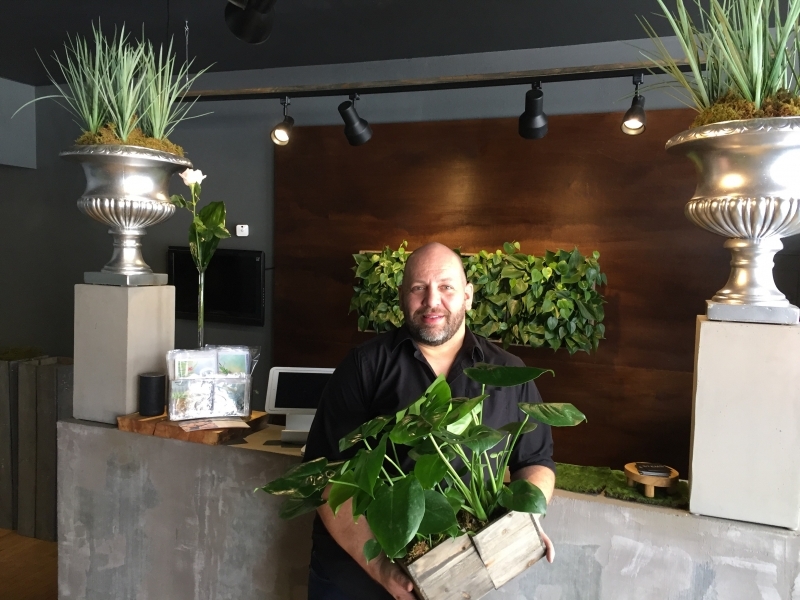 Scott Robertson, owner of Stems Fleur, a finalist in the 2019 Best New Business category. 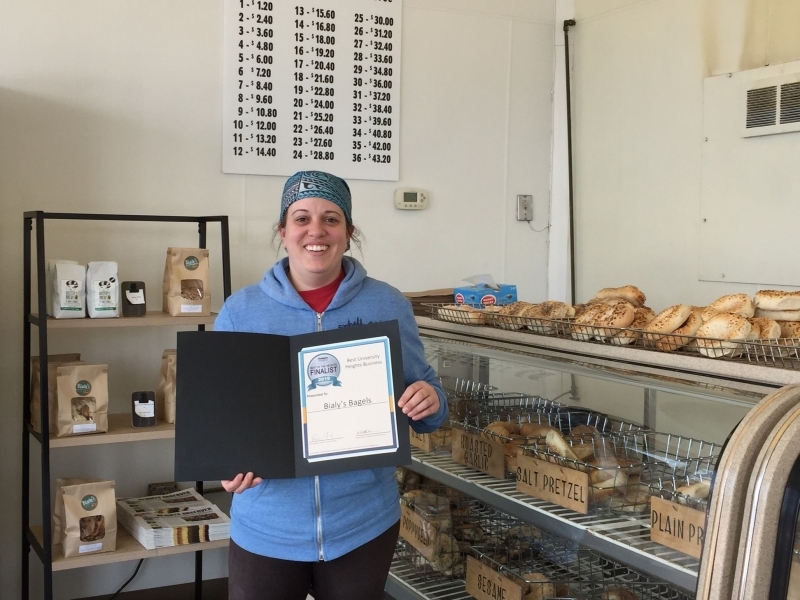 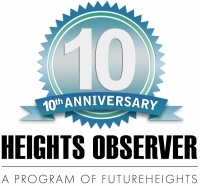 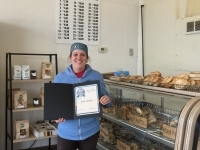 Rachel Gross, co-owner of Bialy's Bagels, a 2019 Best University Heights Business finalist. 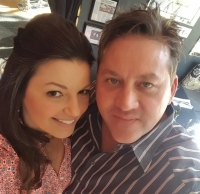 Gigi's on Fairmount owners, Gia and Jim Patsch, winners of Best Interior and Best Customer Bathroom for 2019. 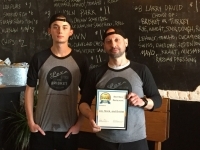 Photo courtesy Jim Patsch.